The Foxy Flutter casino has been running since 2006 and is part of the successful Foxy online gaming brand brought to us by Cashcade. There are more than 90 games on the site and its growing popularity meant that it was time we had a look at what is on offer there. A fun and colourful home page tells us straight away that this is a site which is at the more jovial end of the online casino market. The top games and promotions are highlighted on the home page and the whole thing is a million miles away from some of the drier and more minimalist sites around these days. There is a 24/7 support option if you need any help and this is accessed through either live chat, email or an old fashioned phone call. The site is quick and smooth to get around and to be fair there isn’t a lot of fancy graphics or anything else which you don’t really need anyway. The selection of games at the Foxy Flutter casino means that the entertainment keeps on coming. Elvis Multi Strike, Monopoly Now and Then, Bingo Blitz and Wheel of Fortune are among the dozens of games on the site. As soon as you enter the site you will find all of the games listed under the following headings; Favourites, Table Games, Slots and Instant Win. It is extremely easy to scroll through them all and find the ones which are of most interest to you. Once you get playing you will find the whole gameplay experience more than satisfactory. The graphics, the sound and the overall presentation all add up to make a gaming site which it is a pleasure to have a flutter on. The Foxy Flutter Casino puts a lot of the emphasis on the games and that is just how it should be of course. 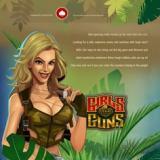 A 100% Slots Bonus for new members is one of the big promotions highlighted when you first enter the site. This is a standard enough offer but the fact that it goes up to an amazing £500 makes it one of the best deals around for anyone searching out a place to play some games. To be able to withdraw your cash to need to use at least 30 times, so you should be prepared for a lot of playing fun when you get going. This isn’t the only offer on the Foxy Flutter casino site. For example, the Happy Hours promo currently runs from 2pm to 8pm on Wednesdays. Other deals include Siberian Storm Weekend and Monopoly Monday. There is also a VIP Club which you can either ask to join or get invited to once you have been playing for a while. This club provides benefits such as a VIP League, Elite VIP Upgrade and a Quarterly Bonus. It is certainly worth joining this club and enjoying the site even more. The fun aspect of the Foxy Flutter casino is evident right from the very first time you enter the site. You might think that this detracts a little form the gameplay on it but nothing could be further from the truth. The fact that it is a colourful and welcoming site doesn’t in any way mean that isn’t always very professional. There are a number of top games on the site and you won’t be short of things to do once you get going. The number of bonuses on the site might seem confusing at first but they all appear to have been well thought out in order to give the player good benefits. The welcome bonus is particularly good and once you sign up this deal ensures that you will be happily playing away for a long time before you need to even think about putting down more money into your account.